Another front and associated disturbance is moving though the area this afternoon. This system will keep our cold temperatures in place and give some areas a chance of snow this afternoon. Just like the past few systems, this one is relatively moisture starved so there isn’t much to work with in terms of snowfall. 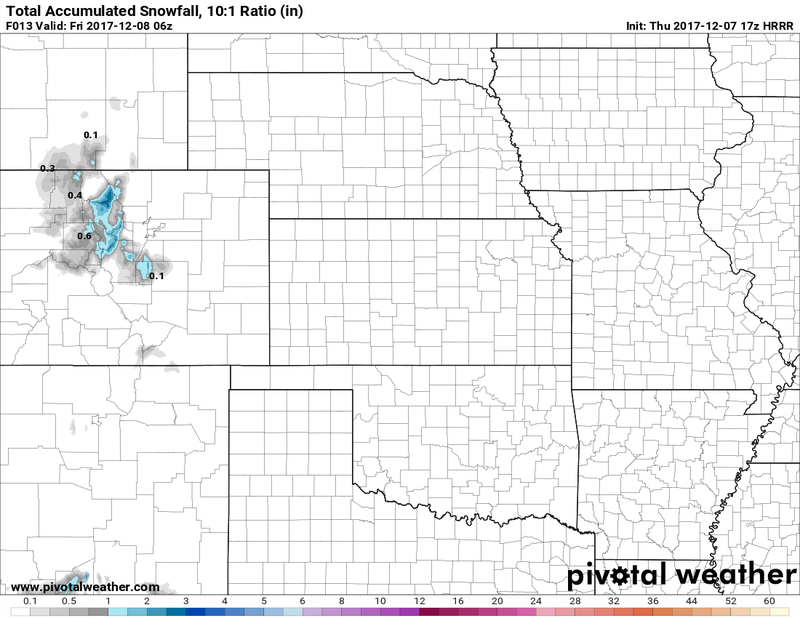 Latest HRRR snow accumulation favors areas South of Denver… mainly higher areas of Douglas County and to the West. Timing: Expect snow showers to begin after 2-3pm and continue for a couple of hours. Snowfall amounts will be very light across most of the front range so travel impacts are not anticipated. Some very select areas may see slick roads under heavier snowfall, mainly in the foothills. Accumulation: Most areas will see little to no accumulation. Areas South of Denver into Douglas and Elbert county can expect a bit of snow accumulation, generally in the 0-2 inch range with heavier bias towards 0-1 inches. Impacts: Little impact from this storm beyond gusty winds and cold temperatures. Models show winds gusting between 20-30mph into the evening hours. The main reason (other than how little moisture is with this storm) to why Denver and Colorado Springs won’t see much is the wind profile. 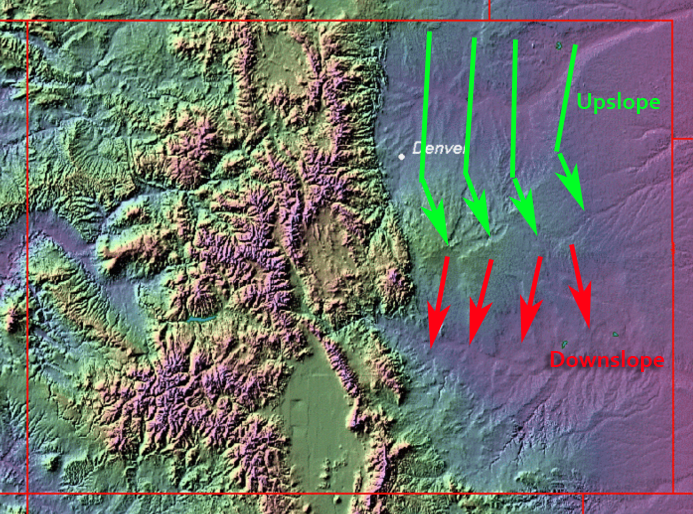 A strong Northerly wind will accompany this system which causes downslope across the Cheyenne Ridge (north and into Denver) and on the other side of the Palmer Divide. Those areas will see dryer air and conditions that are not condusive to snowfall. 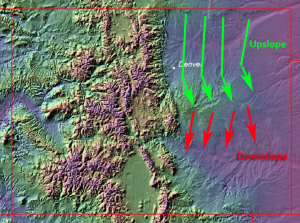 For those of us right against the Northern and Central part of the Palmer Divide, we will get enough upslope to see a few snow showers. Again, snowfall amounts will be light overall though, this storm will not help our dry conditions out at all really. Warmer and windier conditions will return by the end of the week.